Bringing an adult dog or older puppy into your home can present a few challenges, both for you and the dog. 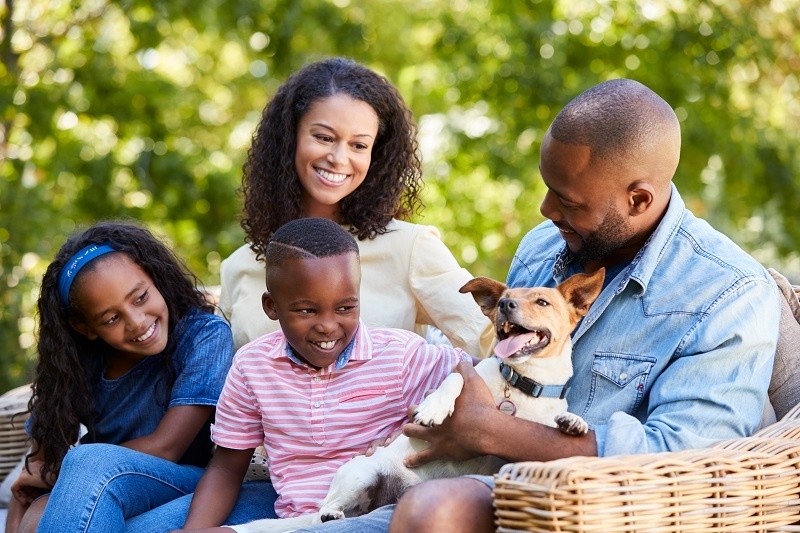 Whether your new dog is a rescue with an uncertain past, purchased to join your working team or taken on from a family member or friend, it will take a little time for him to settle in. Find out as much as you can about your new dog before bringing him home. Try to have the same food and food bowls, and a similar style of bed. If you can, bring home something with a familiar scent on it too. You may want to set up an Adaptil diffuser in the house for a few days before your new dog comes home, and back this up with an Adaptil collar. Each rehomed dog will integrate into your family at a different rate. Treat them as you would a puppy by building a secure attachment before introducing periods of absence and consider using remote cameras so you can check there are no signs of separation distress – seeking help early if you have any concerns. Your dog may not have reliable housetraining so take them out to the toileting area frequently. If you have other pets at home, try to do some ‘scent swapping’ before introducing them under control. Make sure both pets can retreat if they feel uncomfortable and that there won’t be a need for them to compete over resources such as food, toys, water bowls, or the spot next to you on the sofa! Don’t feel you need to rush your new dog out and about. Let them get used to your home and garden, and make sure these are very secure. Sadly, I read about too many cases where newly rehomed dogs panic and escape from gardens or on walks. Scatter feeding and hand feeding can start to build a bond, and gentle grooming is said to release oxytocin (the bonding hormone) in both dogs and their carers. Spend time finding out what games your new dog enjoys and identify any areas of training which might need work, such as loose lead walking or recall. Dogs from rehoming centres should have had any required veterinary treatment before you bring them home, so you can allow your dog to settle in and you can practise some handling before booking a vet visit. If your new dog is a private sale, or rehome, you may need to visit the vet sooner. For nervous dogs, consider a home visit or book a double consultation slot so your vet won’t be rushed and can make this first experience as good as possible. When you feel your dog is ready to start going for walks away from home ensure they are wearing a harness or collar which they can’t escape from if startled. Many years in veterinary practice have taught me to use a slip lead for escape-proof back up when using a flat collar and lead or most harness types (especially after witnessing a dog, which had just been picked up from the Animal Reception Centre at Heathrow Airport, slip a harness and almost make it out onto a busy road! ).